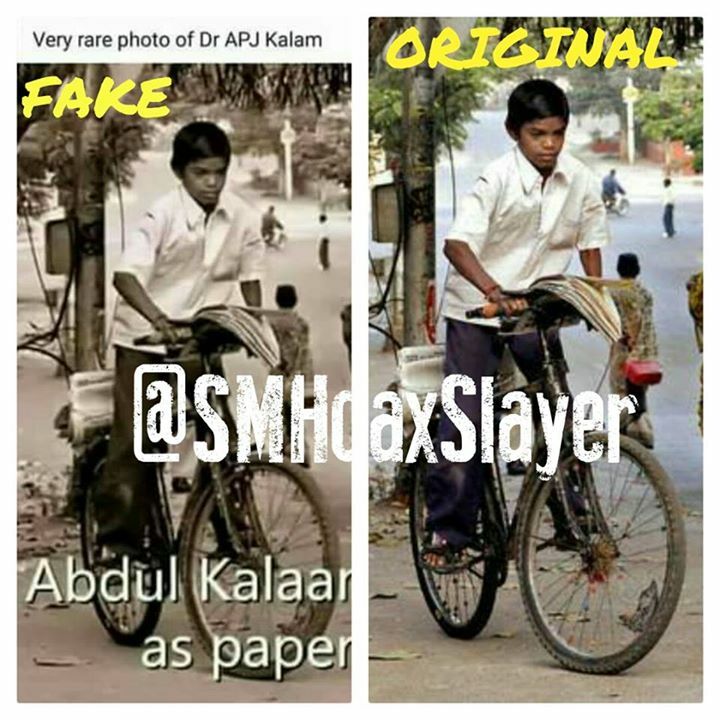 HOAX: Rare photo of Dr. Abdul Kalam Azad whhen he was a child and worked as vending newspaper. TRUTH: Although Dr. Abdul was born in not a rich family but he studied, plus we all have immense respect for him. But we do not need fake images to increase respect for someone.